The Center for Young Women’s Health participates in research, studying many health issues that affect young women. Dr. Laufer, Co-Director of the Center for Young Women’s Health and Chief of Gynecology at Boston Children’s Hospital is devoted to caring for young women with endometriosis and is determined to help find a cure. As a gynecologist, Dr. Laufer has treated both young and older women with endometriosis and has recognized that symptoms including; painful periods, pelvic pain, painful urination, etc, often begin during the teenage years. These symptoms are frequently misunderstood and treatment is commonly delayed when early treatment is possible. Dr. Laufer has spent most of his career not only caring for adolescent girls with endometriosis; helping to relieve their pain and preserving their fertility, but also conducting research studies to help find a cure. 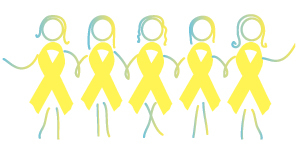 Your donation to the center can help make a difference and put an end to endometriosis. It’s time!